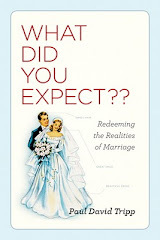 Marriage God's Way: Did You Hear What I Just Said? It has been reported that the average American couple spends less than one hour a week communicating about something other than household operational issues. And on those occasions when they do attempt to communicate often one or both of the parties isn’t good about listening to the other. • Avoid emotional reactions. Remain objective and open minded. • Treat listening as a challenging mental task. • Don’t be quick to offer a solution, particularly if you are the husband listening to his wife. Often women want to process something out load, they are not looking for a solution. Most men on the other hand want the abridged version, they want the bottom line, and they want to offer a quick solution. This is not communicating, helpful or loving. In these situations the husband should ask the wife if she is looking for a solution or just needing to talk about the issue. • If the topic is highly emotional, serious and/or important the best response may be to say, “Could we just pray about this before we continue?” Then offer a sincere prayer seeking the Lord’s wisdom. • Always seek to understand before you seek to be understood. Ask clarifying questions if necessary. What is the other person’s main concern? What outcome is the other person seeking? • How can your response best glorify and honor God? If you have any other tips they would be greatly appreciated. Learning to listen well is a skill that can always be sharpened.